An understanding of organizational change management (OCM)  an often overlooked subject  is essential for successful corporate decision making with little adverse effect on the health and safety of employees or the surrounding community. 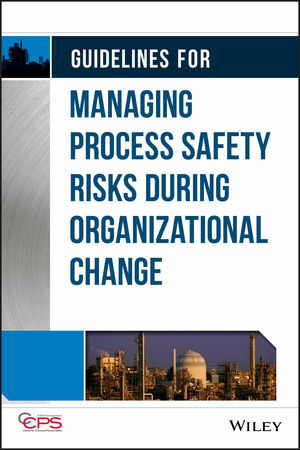 Addressing the myriad of issues involved, this book helps companies bring their OCM systems to the same degree of maturity as other process safety management systems. Topics include corporate standard for organizational change management, modification of working conditions, personnel turnover, task allocation changes, organizational hierarchy changes, and organizational policy changes. Since 1985, the Center for Chemical Process Safety (CCPS) has been the world leader in developing and disseminating information on process safety management and technology. CCPS, an industry technology alliance of the American Institute of Chemical Engineers (AIChE), has published over 80 books in its process safety guidelines and process safety concepts series, and over 100 training modules through its Safety in Chemical Engineering Education (SACHE) series.